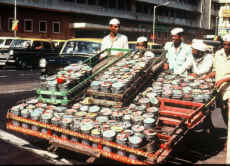 Hi My Name is Fahim Vora, Born and brought up in Mumbai. I like to provide guests with different and out of the ordinary experiences in Mumbai, I am a local so I like to venture down small lanes to find stuff that otherwise just does not get discovered. You will be in for many a surprise – plenty of amazing and varied stuff, people and activities! Thanks to Voyagin for listing my tour on their website so that I can reach more people to share the off beat experience. This is an excellent tour with Zeeshan, whom himself is a wonderful guide. My last day in Mumbai was spent in the morning on the half day tour starting from Sassoon Docks seeing the Koli fishermen coming in with their catch to their family selling their catch. We vistited a number of very interesting place such as the Dhobi Ghat, Koli fishermen's village, Spice Market and Thieves Market. 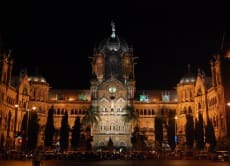 My desire was to come to Mumbai was not as a tourist snapping away pictures of everything I saw, but to appreciate, absorb and captivate the different fabrics that bind Mumbai as a Wonderful city to visit. Afer the tour, Zeeshan was very kind and thoughtful to organise a taxi at a good rate to take me to the airport from Colaba. Thank you to Zeeshan, Oves (my first guide who took me to Dharavi-an ecellent tour and guide) and Fahim. I highly recommend these tours not only for their prices, but for their high quality content and excellent guides. Excellent tour by Oves. Well ochestrated and spoken in a high standard of English and engaging. I 'very left Dharavi, well informed and with a deeper understanding. Although photography is not allowed, the sights and sound will live in my memory forever as my I have a deeper and meaningful respect for the residents. With Oves knowledge I able narrated Dharavi to my circle of families and frinds. Oves, thank you for sharing your neighbourhood with me, for I now have a greater admiration for Eternally Resourceful Dharavi. Joining this tour raises our awareness while dispellimg the negative attitudes many people have about slums. Wlalking through the industrial and residential areas of slum indicate the unique strengths, opportuities, challenges, and issues of the community. Cheerful of chiledren is very impressed schene in slumn. By joining this tour help children connectig them to socially minded individuals and organizatios. After tour we can recognize that we have a positive image about slums ! The guide is also nice guy and so kind! Joining this tour makes you so powerful. Visiting Fishing dock is very interesting . This is the only Fishing dock keeps the traditional way in INDIA . Regretfully saying , we can't take photo in this poit , becase location is close to NAVY. Watchig the all process is exciting . We can see so many wide variety of fishes. Walkimg around the Dhobi Ghat is also exciting.In this tour We can have enough excitement , may be for life time. And I'm enough lucky to join the cricket play with local chiledren at fisherman's villege. I can strongly recomened this tour. Explanation of guide is also excellet!